At Westan Homes, the Monika has you covered! Enter this grand home through the large foyer! To one side you have the first 2 bedrooms with a Jack and Jill bathroom and convenient spacious first floor laundry room. The large family room features a fireplace and is open to the kitchen. The kitchen offers a large island with seating making it a perfect place for after school snacks or morning breakfast! The Owner's Suite is situated just off the family room and features a large walk in closet and private water closet. Rounding off the first floor is a spacious half bathroom. Upstairs you will get a large recreation room, another full bath and optional fourth bedroom ideal for the teenager in the family or guests! 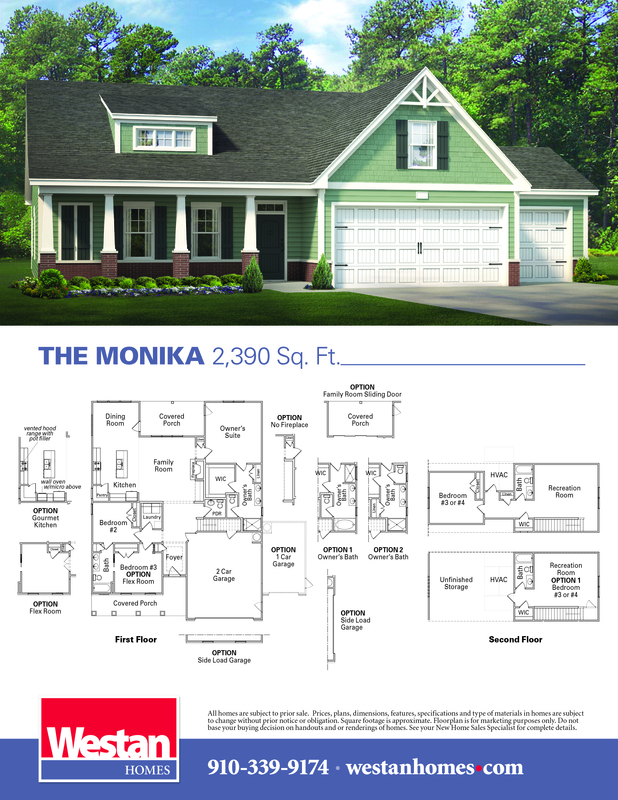 The Monika, like all Westan Homes, features our Bright Ideas such as a pull out trash can in the kitchen, Taexx pest control and gutters!